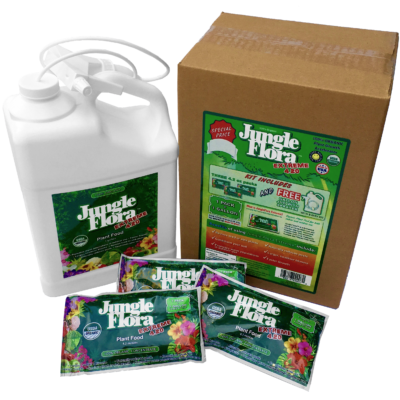 Home / Jungle Flora / Jungle Flora Extreme Concentrate 4.2 oz. By applying JUNGLE FLORA, the soil once again comes to life. JUNGLE FLORA, promotes earthworm activity, which in turn binds the soil together to stop this wind erosion. Excess water through heavy rain, no longer causes deep erosion, but is sopped up by the sponge like soil. Plants begin to show signs of life again, losing their plastic look and taking on an oily shiny lustre that oozes with health. WHAT MAKES UP THIS CONCENTRATED LIQUID GOLD The fermentation process is what gives “JungleFlora” its potency. However, the experienced will understand the essential qualities of its content. Derived from composted manure, fish emulsion, potassium humate, kelp and vermicast. 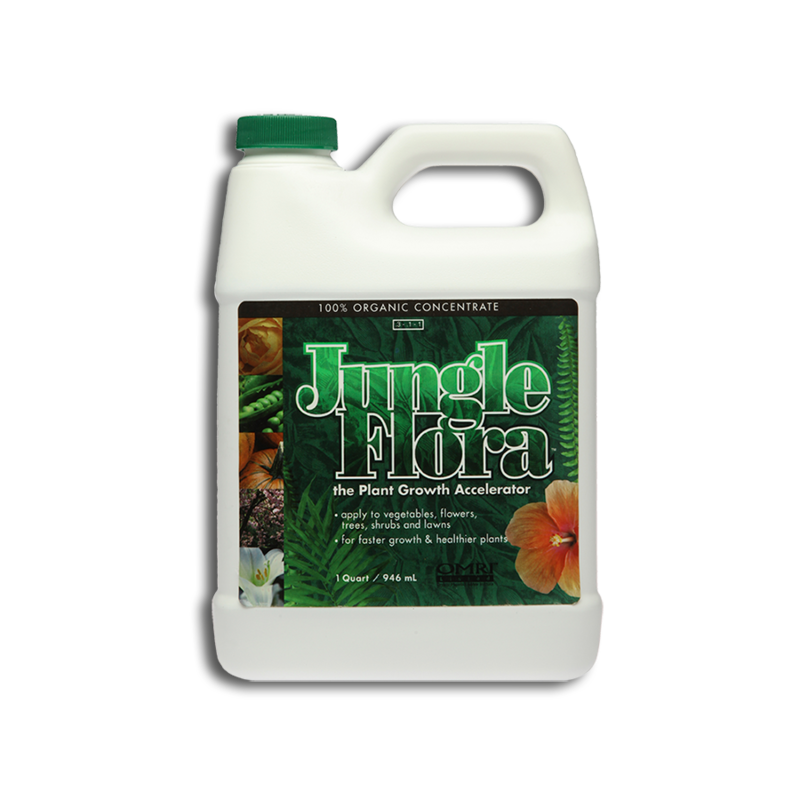 Jungle Flora Extreme Concentrate: 4.2 oz. makes 1 gallon of organic plant food. 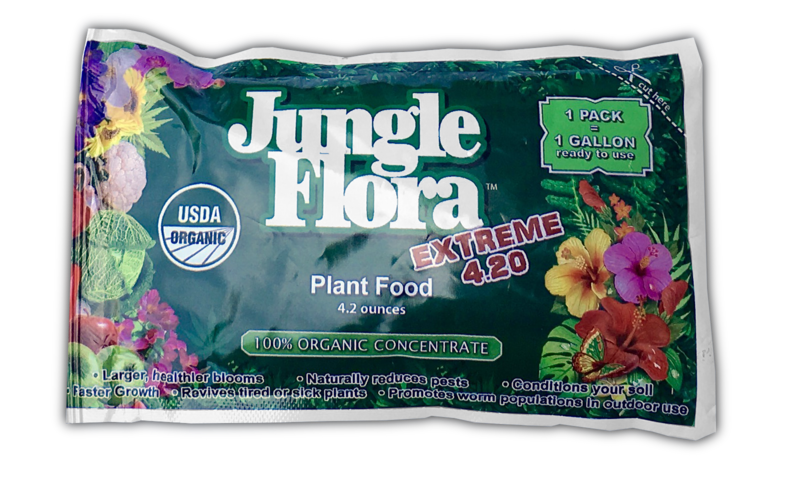 By applying Jungle Flora extreme concentrate, the soil once again comes to life. JUNGLE FLORA promotes earthworm activity, which in turn binds the soil together to stop this wind erosion. Excess water through heavy rain, no longer causes deep erosion, but is sopped up by the sponge like soil. Plants begin to show signs of life again, losing their plastic look and taking on an oily shiny lustre that oozes with health. 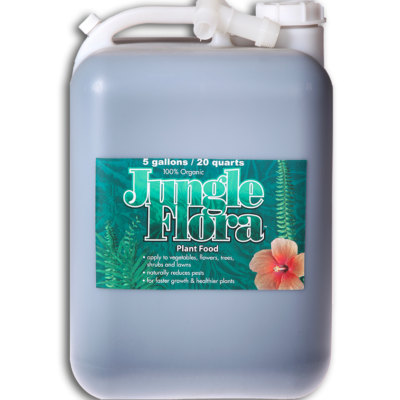 WHAT MAKES UP THIS CONCENTRATED LIQUID GOLD The fermentation process is what gives “JungleFlora” its potency. However, the experienced will understand the essential qualities of its content. Derived from composted manure, fish emulsion, potassium humate, kelp and vermicast.